Answer: hi dear! you might have to visit your doctor dear. you will need to do some tests that will help to diagnose dear. also you will have to do a blood sugar and also a thyroid test dear also might be an ecg will be required too. dont worry these are all just so see what can cause your hypotension dear. so you will have to do these test and then show them to your doctor dear. take care dear! Answer: Hi Dear! 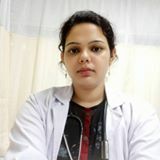 Breastfeeding is a quick solution fr weight loss however if ur babt is on formula and if ur Dr. has given u the permission to go ahead plz stop having sugar easily digested carbs, junk and fast food and increase ur Protein intake and be active if u cant exercise start brisk walk it will help u to loose weight.. Hope this helps! Answer: A woman giving birth is a difficult subject in a woman's life. After pregnancy, the mother's weight does not decrease so easily. Especially in Caesarean, it takes a lot of time to reduce belly fat and bring it back to its former condition. But reducing the fat of any type of stomach is not very easy and the condition becomes more difficult when the Caesar. Because standard abdominal exercise cannot be done. However, alternate ways to reduce fat after cesarean fat. Let's know some things: 1. The best way to lose weight after the C section is to breastfeed the baby. The child should breastfeed for six months only. With this, your fat excess fat will be reduced. 2. The first six months after delivery are very important. At this time, pregnancy hormones travel and all fat in the body is loosened. Weight loss is very difficult if this fat condensation becomes tight. Start some common exercises, such as walking. 3. If you want to reduce stomach fat, you only have to go after belly without having to eat, sleep, and go to the washroom. Although it is a lot of annoying, you definitely will get good results. 4. The best way to reduce stomach fat after the C section is to bathe. The stomach muscles are strong in it. 5. Water protects the fluid balance in the body. You may be surprised to hear that the water helps to remove excess fat from the intestine. So drink plenty of water every day. This will require less hunger and fill the stomach. 6. If you give milk to the baby, carbohydrate is needed for excess energy. Besides, protein, fruits, and vegetables must be eaten. But refrain from eating ghee, butter and sweet. 7. Healthy foods do not have a strong desire to eat. So eat healthy food. So do not be starving. This will cause harm to you and your child. After a cesarean operation, you can not do heavy exercises for a few days. So do not be frustrated to think that the previous status will not be returned. Be patient. Take the matter positively and try. You can reduce the stomach fat. Question: I hv gained too much weight during and after pregnency. Plz guide how to reduce my weight. Even after normal delivery my tummy is too big . Wat to do to reduce tummy size? Answer: Its normal babies breath at interval while feeding. Just check whether ur breast doesnt presses babies nose.